Marriott International in Europe announced on Tuesday that it will double in size once its parent company completes its acquisition of Starwood Hotels & Resorts Worldwide is complete. 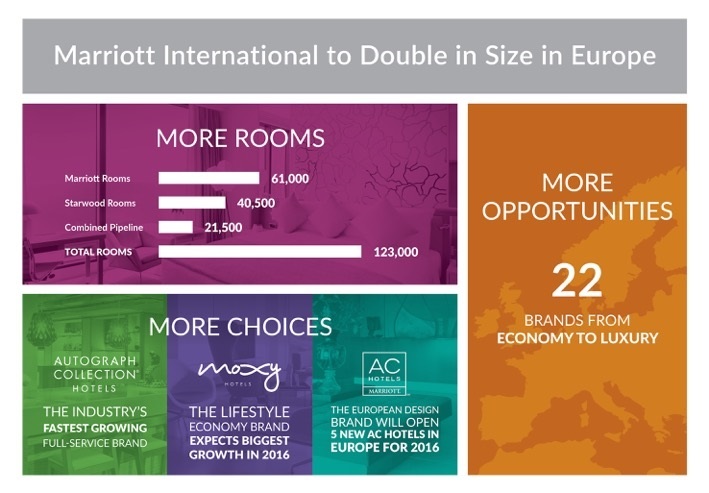 When Marriott’s 61,000 open rooms join with Starwood’s 40,500 open rooms and the combined pipeline of 21,500 rooms, the company will reach over 123,000 opened or signed rooms in Europe. 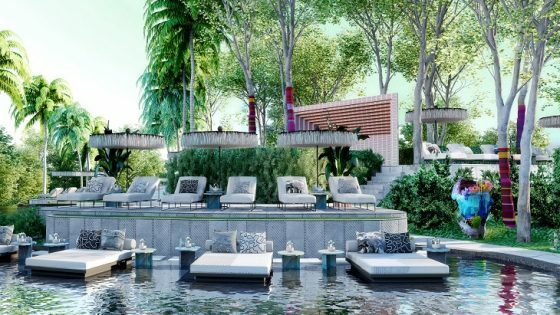 Starwood’s luxury brands, including St. Regis, Luxury Collection and W Hotels, are set to complement Marriott’s luxury brands, including The Ritz-Carlton, EDITION and JW Marriott. 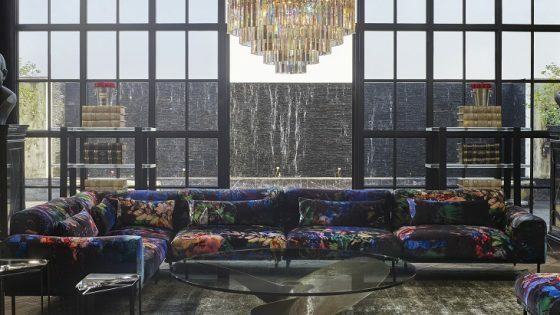 The newly acquired luxury brands will complement Marriott’s existing offering in the economy and mid-tier sector, including Moxy Hotels, AC Hotels and Courtyard Hotels, yielding 22 lodging brands across Europe from economy to luxury. Marriott’s Autograph Collection is also set to open four hotels in 2016 including two Roomers hotels in Germany. 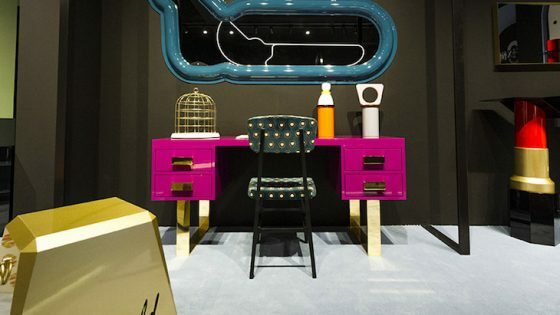 AC Hotels, the urban European design hotel brand, which has recently been introduced to the US to positive reviews, is expected to open 22 hotels globally and will launch in the UK for the first time in Manchester and Birmingham later this year.